Tridion MVP Retreat 2013 – Full of surprises! The Tridion MVP retreat is hosted by SDL to honor those who share the most with the community throughout the year. I was lucky enough to be part of this group for my efforts in 2012. One thing not known by many first-timers like myself is that the event is full of surprises. In this short post I will reveal some of the surprises that were in store for us during the 3 days. Surprise 1: Take your laptops with you to breakfast. What?! Turns out that after our 1 hour bus ride and for some people a 15 hour flight we would not have the luxury to relax, check in to our rooms, and get comfortable. After a delicious breakfast buffet we headed straight to our working quarters – a large meeting room with a glass wall overlooking the beautiful valley and swimming pool. The wireless, projector, and places were all arranged and waiting for us. 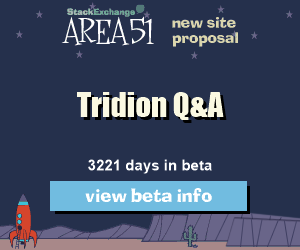 Nuno started off with an inspirational talk about how successful we were at sharing last year (hundreds of blog posts between the 20 of us) and also shared some secrets about the next version of Tridion and where the product is heading. After his talk we had 1 hour to form teams, think of what idea we will finish programming within 2 days and launch it to the community as open source. I joined the GUI Extension team and we decided to extend the Schema Edit screen and created the Field Behavior Injector to allow other field attributes, based on some previous code by Jaime Santos. Bart Koopman has a nice article here about it. Several of us gathered around the lobby wondering what surprise waited for us next. We weren’t asked to bring laptops, so no surprise work awaited. Hearing jingling bells in the distance we were all surprised when some horses and carriages appeared and this was our transportation to dinner – in the ancient castle at the top of the hill! Before dinner we were lucky to enjoy some drinks in the lobby and sampled some of the local digestive made from cherries – it was delicious, but a bit too sweet for a pre-dinner drink. The bartender was very good and offered us local port and also his own Martini recipe. Saturday we would take a trip to the local factory that produces this delicious drink – and who would have guessed that the quickest way is by off-road 4×4 vehicles driving through the Portugese countryside? In the evenings we were surprised to learn that Quirijn Slings is a Ukelele master and has a slew of songs in his repertoire and Dominic Cronin plays a mean Harmonica. Once the music started playing various MVPs showed off their musical talents and we had many sing-a-longs to share more with the local community. As soon as we started programming we also started discussing how to share what we were making. Bart Koopman blogged about using Resource strings in GUI Extensions and John Winter wrote the first post about what our teams were building – while we were still building it. Alvin Reyes had our Google Code site up and running with an introduction and overview immediately – preparing the location for our code the next day. And I dug into building a GUI Extensions installer with Powershell that creates the required files, folders, IIS Settings, and config file updates. Despite the food and beverages consumed the previous night we were all expected to be present at the meeting room at 9:00 to begin the next days’ hacking session. Surprisingly, it took little effort or time for us all to get sunk into hacking code and soon a strange intensity was building up in the room, and before we knew it we were making great progress on our new projects. Our last dinner was held at an incredible local eco restaurant where they have created everything from local and sustainable materials. It is owned by the local Mayor and he was on hand to serve drinks and invite us to taste his local specialties! They were very delicious and he was a great host. After 3 intense days we were already saying goodbyes and pushing each other to share more so we will see everyone again next year. But, I have a feeling some of us won’t be there next year and also that some new faces might join the musical troupe to create some new songs to carry us through the night.